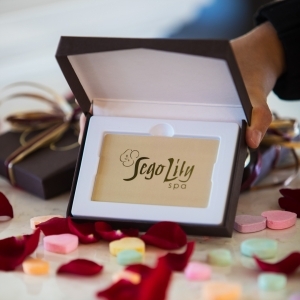 Sego Lily Gift Cards are available for purchase at any of our spa locations or online from the comfort of your own home! Our spa is all about taking it easy, so there’s no rush to beat an expiration date. Our extensive line of home-care products, luxurious services and yes, even the gratuity can be covered with a gift card. With three locations available along the Wasatch front and our online store using the gift card couldn’t be easier!